If you already know what this device can offer you and are interested in it to improve your living room TV, we provide a direct link so you can buy a Leotec Android TV Quad Core. If you do not already know, we invite you to keep reading our article so you can see everything it offers. In our analysis of Leotec Android TV Quad Core, we will show its most important features, so you can decide if it is worth buying or not. 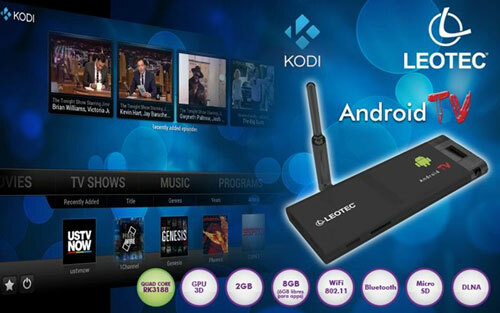 As we can see, this Leotec Android TV Quad Core Android highlights for its 2Gb of RAM and processor RK3188 offering a fluidity and speed of work quite acceptable considering that this is a stick. 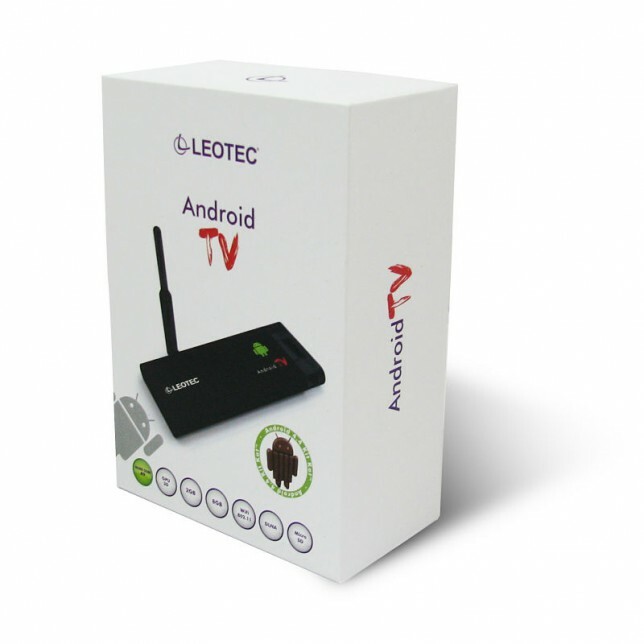 The Leotec Android TV Quad Core offers this version of android that, along with 2GB of RAM, gives the device a good functionality, memory management and the ability to cope with most games and applications that we can find in our favorite store. The Leotec Android TV Quad Core offers the possibility to enjoy our videos at a resolution up to 1080p, giving us a good picture, either with its internal player or serving us applications like Kodi. 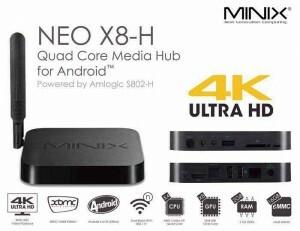 The Leotec Android TV Quad Core offers a Rikomagic RK3188 Cortex A9 processor at 1.6 GHz Quad Core, which has been very successful on devices that have decided to integrate, giving speed and power. A very good processor for the price this stick. Perhaps it is at this point where the Leotec Android TV Quad Core denote a little lack, although it is an acceptable GPU according to the product price, giving us a good graphic quality, but we can’t demand too much. As a general rule, a stick does not usually have many ports available for connectivity mainly due to its small size and the Leotec Android TV Quad Core not going to be an exception. 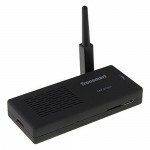 It has USB OTG port and another to connect to a PC. Regarding wireless, is quite acceptable with good reception thanks to its external antenna and we add the Bluetooth 4.0, which is not available in many sticks in the market. This is where we find the selling point of this Leotec Android TV Quad Core as having 2GB of RAM is usually not usual in this type of device stick. 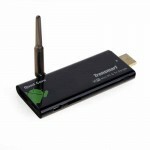 This memory guarantees a good flow together with the OS and CPU, which is not bad for the price that it has. We also have 8GB of internal memory, which although they may fall short with time, we always have the possibility of using external storage devices, thanks to its USB port, or using microSD cards up to 32GB, which solve us the problem. The Leotec Android TV Quad Core supports technology DLNA with whom to share all your files with all devices that are in the same network and have DLNA. And with the help of an application for this purpose that we can find in our favorite store, we can make use of mirroring, sharing the screen of our mobile or tablet on our TV. What is the Leotec Android TV Quad Core ? The function of this Leotec Android TV Quad Core is to convert our living room TV into a smart TV, a media center where you can enjoy internet, Android applications and games as well as movies, series and streaming TV channels in a simple and uncomplicated way. 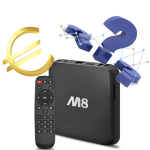 With the Leotec Android TV Quad Core can enjoy series and movies, either from the Internet or from a storage unit with a very quite acceptable without too many problems with the format as it supports the most common . Thanks to applications like Kodi, you can perform all these activities without experiencing delays or annoying freezes with its 2GB of RAM. In any case, these devices are not designed to be connected all day, so if you get to overheat, could present some drawbacks. With the Leotec Android TV Quad Core can share our multimedia files easily to and from our TV thanks to DLNA, without ever getting up from the couch. 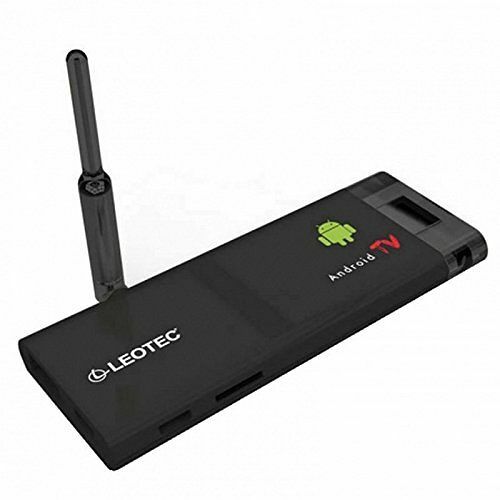 By having a OS Android 4.4 this Leotec TV Quad Core gives us the opportunity to enjoy the great majority of applications we can find in our favorite app store without worrying about compatibility. As is the case with applications, the Leotec Android TV Quad Core not give us problems when enjoying our favorite Android games, but keep in mind that we can not demand too much with games that require a lot of resources. 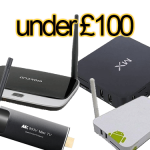 In general and in relation to stick terms, this Leotec Android TV Quad Core is not a bad option if you are thinking about turning your TV into a smart TV cheaply and uncomplicated way as long as we keep in mind that we can not asking too much, because for that already we have the Android TV Box, which for a little more money, offer us a lot of resources. 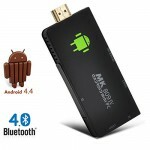 In any case, if is a stick what you’re looking for, this spanish product can meet satisfaction most basic functions that you can ask an Android TV. 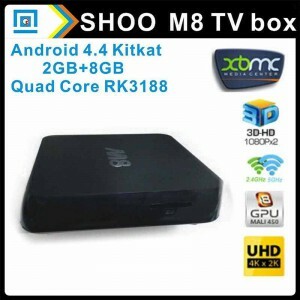 Where to buy a Leotec Android TV Quad Core Android TV? It is advisable to always do it where we have the assurance that the product is going to deliver diligently and in the best possible condition, and if we have any problem with the product can exchange or return it without any problem, so we recommend you to buy it in Amazon.co.uk, one of the best online shops in these areas. 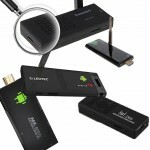 If this is the product you were looking for, we offer you the direct link so you can buy a Leotec Android TV Quad Core.